When it comes to pampering pets, nobody does it better than actress Priyanka Chopra. When it comes to pampering pets, nobody does it better than actress Priyanka Chopra, who recently got her pet pooch Diana a jacket from the label Moncler that costs Rs 36,83,825. 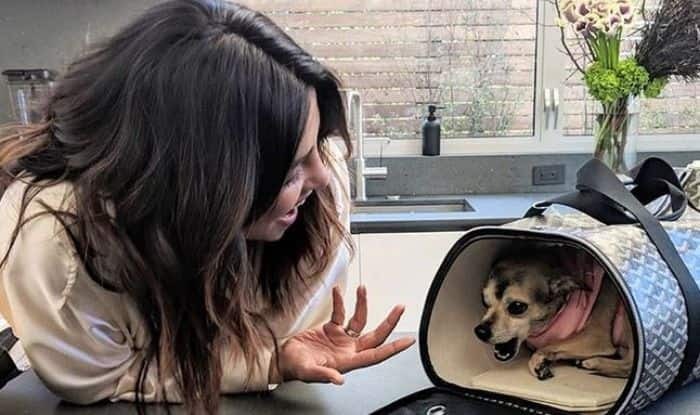 Not only that, now the dog will be traveling in expensive style too after Priyanka’s stylist Mimi Cuttrell gifted her a travel bag that is worth Rs 1 lakh. Priyanka, who is very close to her pet Diana and keeps sharing pictures with her on social media, had earlier shared a picture showing her pet wearing the expensive jacket, and apparently being styled by Mimi. A few days back, when Priyanka was on a vacation in Switzerland, she herself donned a Moncler jacket that costs Rs 1,42,690.